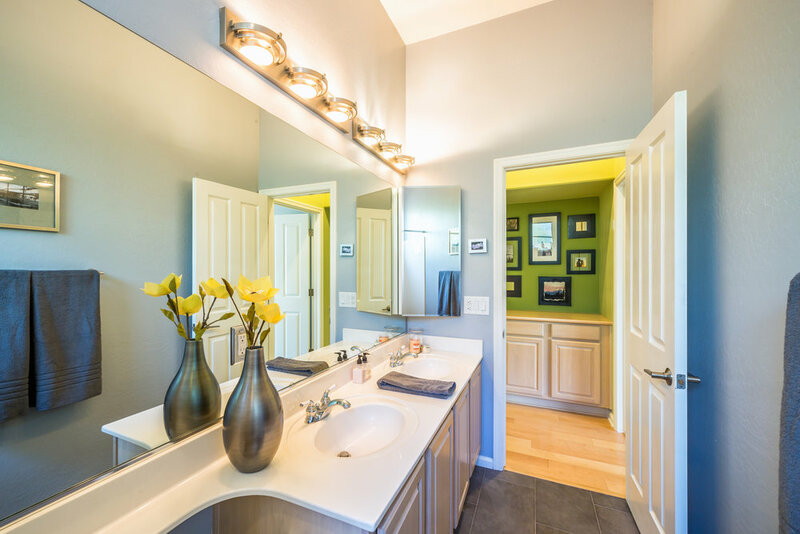 To ensure the correct color is chosen, each room should be measured and weighed on a case by case basis. 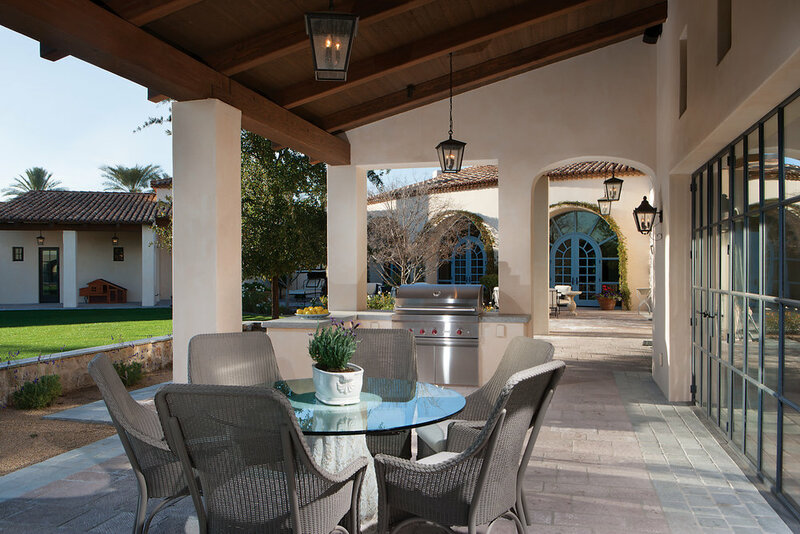 The room’s role, shape, and surrounding features within the home must all be considered. When it’s done properly, the result is truly spectacular. For an example of this, look no further than the living room of this 2-bedroom, 2-bath Castle Chase home at McDowell Mountain Ranch. Shaded in “Greenery” (the Pantone® color of the year for 2017), everything about the room feels natural and calm. It is a direct injection of nature into a man-made space, a healthy supplication of the stillness and serenity natively associated with a crisp Spring day. 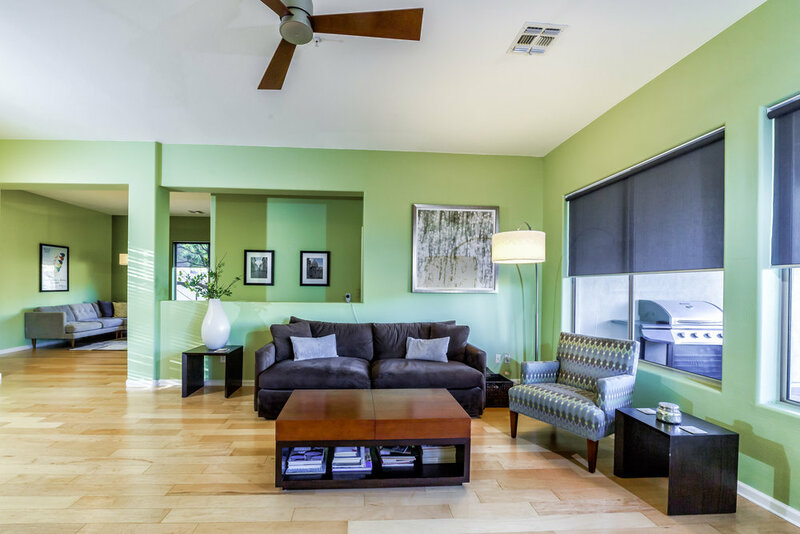 But the use of Greenery brings more than a “freshness” to the living room—it brings a brightness and airiness to the entire 1,681 square feet house. 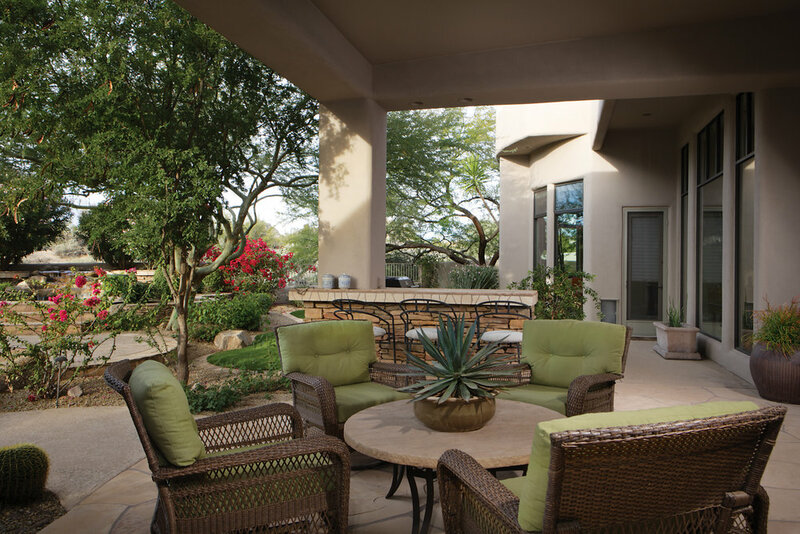 And it does so without compromising the home’s chic interior design, or drawing attention away from the ruggedly beautiful views of McDowell Mountain to the East. It only takes a few individuals to construct a house, but it takes a community to convert that house into a home—a community like Castle Chase. Located on an elevated site within a quiet cul de sac, 15883 N 107th Way provides both spectacular horizon views of McDowell Mountain to the east, and complete privacy thanks to generous spacing along the property boundaries. This is an easily manageable Castle Chase block constructed home designed for clean, effortless living. It has been carefully refinished since its inception in 1998 to offer an environment of modern chic. 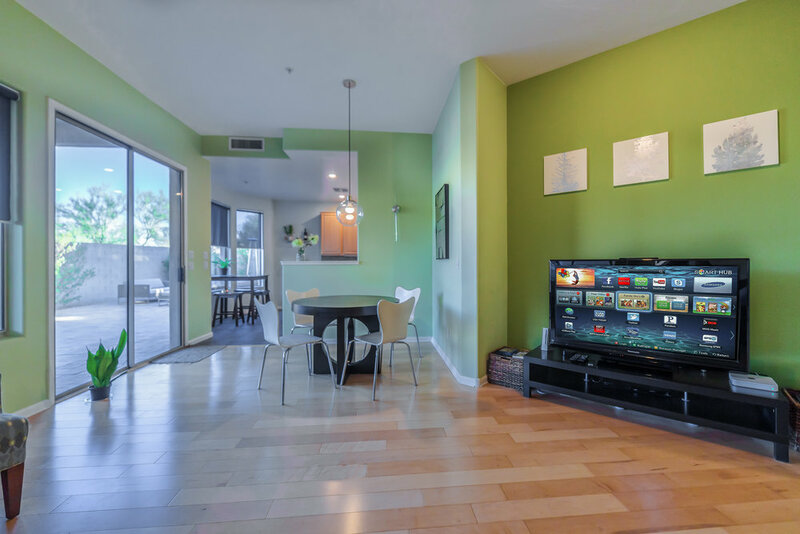 Reduced to just a few words, this is a home where residents can truly breathe with ease. Intimate, clean, and unencumbered by excess, it’s an ideal floor plan. 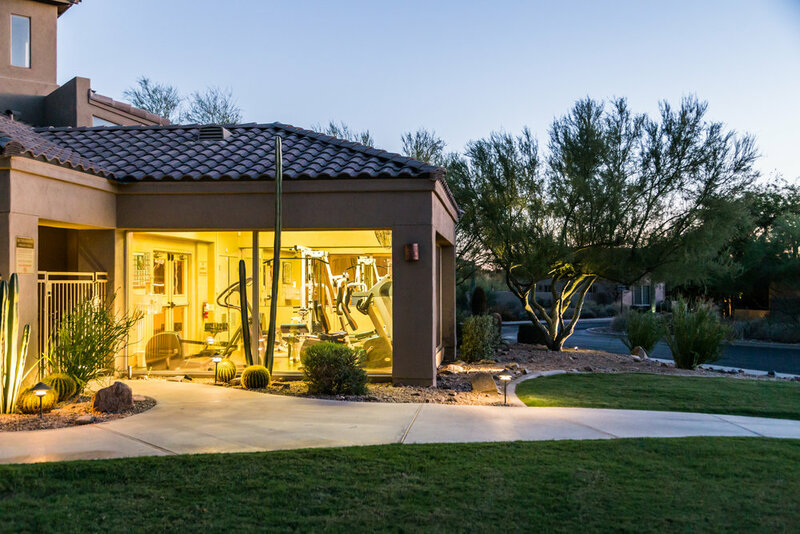 Positioned on 0.17 acres of prime Scottsdale real estate and paired with a spacious two-car garage, this is a 2-BR, Den, 2-BA, 1,681 square foot home free of unnecessary frills. Expansive windows and an open floor-plan lend the home a spacious feel without the associated square footage, a distinct advantage over physically larger homes that require greater investments of time, money, and energy to maintain. Unlike more convoluted architectural plans that lose their identity from room to room, this Castle Chase home makes no attempt to straddle the fence of design. It is minimalist at every turn, with bright, clean lines that cater to occupants with an unmistakably defined sense of purpose. 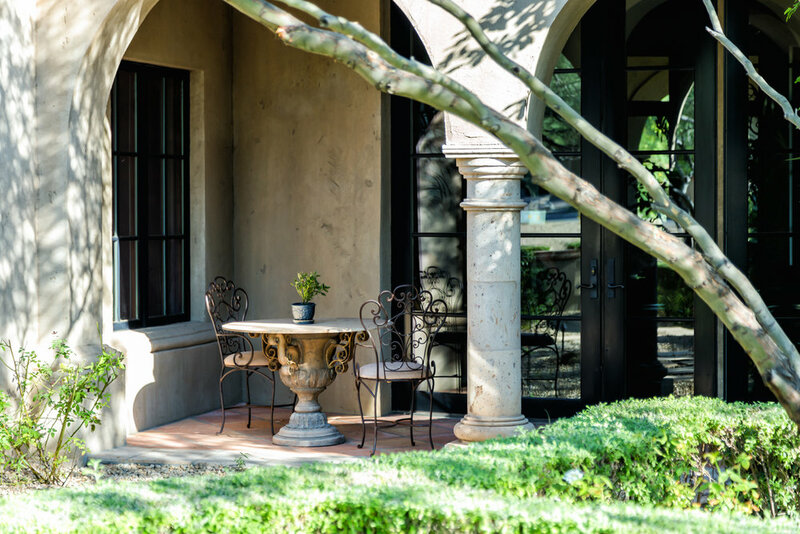 Whether sipping espresso and reading the Wall Street Journal in the windowed alcove of the kitchen, or transforming backyard planter boxes into a basil, thyme, and sage-layered herb garden, every space of this home cultivates clarity of mind and spirit. Inside, new fans, light fixtures, wood floors, faucets, and steel-faced appliances—including a wine fridge—amplify the modern-chic airs that permeate every corner of the home. 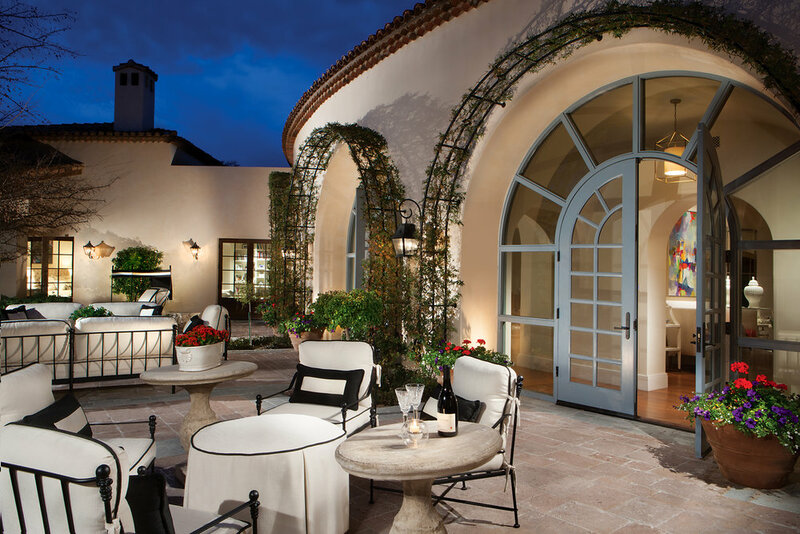 Outside, an extensive and exquisitely-laid stone patio offers exterior comfort, perfect for twilight cocktails, midnight star-gazing, or post-dinner coffee. In the wintertime, make fireside conversation a nightly-staple beside the stone-built, gas-fed fire pit. Of all the intricacies that combine to make 15883 N 107th Way the unique, contemporary property that it is, none is more significant than its location within the borders of the Castle Chase community. With just over 150 residents, only privileged few get the opportunity to reside in Castle Chase. 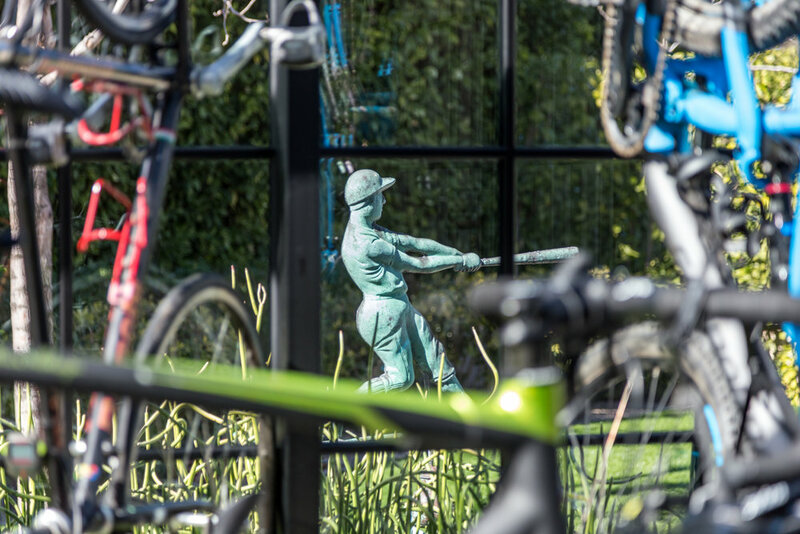 That number is low for a reason—the community wants to ensure its amenities, the pool with a view and state-of-the-art fitness center, are always available for your enjoyment.